Conserr, hard to say 50g is a con after saving so much cash!! This is a great straight swapout replacement for anyone having problems with a DA9000 freehub. Mine had become a little wobbly and very scratchy after ~10,000 miles of rough winter use so I was hesitant about spending £150 for another DA one...albeit that the 9000 hub was still in great condition. The Ultegra part was easily fitted using the same 14mm hex key as to remove the DA freehub equivalent (the key cost only £6 from an online h/w store). The Ultegra version weighs ~50g...but saved me £133! 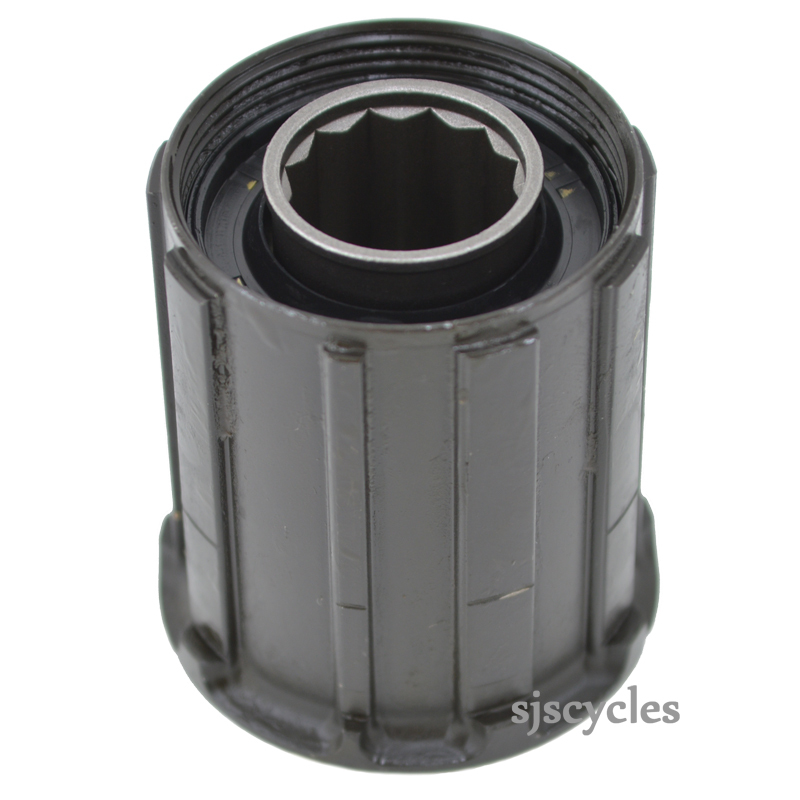 You require SJS Cycles part number : 18774 as a replacement, this will take up to 10speed road, you cannot use 11speed on this hub. Will this freehub fit on a Shimano WH-7900 Dura-Ace rear hub? what 11 s freehub could I use with RS80 C50 wheels? The RS80 rear wheel can not be converted to 11speed. Will this fit on my Shimano WH-R500 please? This freehub body is indeed compatible with your Dura Ace 9000 wheel. Can this be used to replace the freehub body in a Shimano WH-RS010 wheel? Unfortunately this freehub uses a slightly different design to the one required for your WH-RS010 wheel. We do actually stock the correct replacement freehub body for your wheel though and it is SJSC part number 37216. Replacement For Wh-Rs80 Cl-50 Freehub? Will this part replace my current freehub body on my Shimano WH-RS80 CL-50 wheels? The current body requires 10 mm allen key to remove. This is not the correct freehub body for use with your wheel I'm afraid. The correct one you need is the same as used on the WH-RS10 wheel which is SJSC part number 25824. What Size Hex Key Removes The Free Hub Body? This freehub body requires a 14mm allen key for the fixing bolt. Can I Place This Wh6800R Freehub Body On My Whr501 Rear Wheel? This freehub body use a slightly different fitting system to your wheel. The correct freehub body for you wheel is SJSC part 29213.